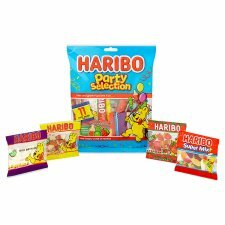 Great portion control pack contains approx 11 little bags of HARIBO sweets in mini pieces - perfect for parties & celebrations! 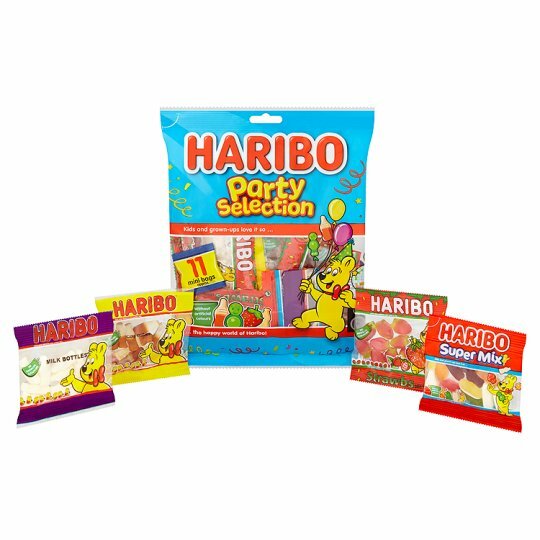 Kids and grown-ups love it so... the happy world of Haribo! 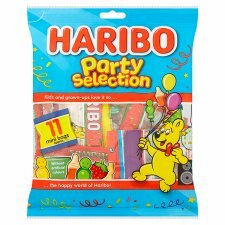 This product is a random mixture. Contents of mixture may vary. Store away from heat and humidity., Best before end... (see print on back of pack).